When a vehicle suddenly decelerates, the force of gravity causes unsecured objects inside the vehicle to continue moving. The force with which an unrestrained object hits something in a crash is dependent on numerous factors, including its speed and mass. In calculating crash forces, a force of 20 times the weight of the object is frequently used because it typifies the forces which are present in a moderate crash. Loose things inside the vehicle become projectiles that can cause serious injuries or death. You’re on your way to the airport. Your suitcase weighing 44 pounds (well under the limit for checked baggage) is lying in the back of the van. You’re not even on the highway yet, traveling a moderate speed when a truck runs a red light and causes a collision. You’re wearing your seat belt and the airbags deploy, preventing serious injury. But that suitcase becomes a UFO that packs a punch of 880 pounds, and you’re probably not going to make that flight or any other one. This is why airlines insist that you stow your carry-on in the overhead compartment. A 2011 European study conducted by Goodyear Dunlop found that, in the event of a car accident occurring at 32 miles per hour, an 18 pound dog can strike front seat passengers with a weight of up to 882 pounds. They also reported that a glass bottle, laptop or toy kept in the back of the car will hit the front passenger with up to 50 times its own bodyweight in a collision at 50 mph. Australia’s National Roads and Motorists Association claims that if you brake suddenly while traveling at 31 mph, groceries in the back seat will hit you with the same force as if they had fallen from a two-story building. It really doesn’t take much imagination to come up with a list of objects typically carried loose in a car, van, SUV or truck. Next time you’re on a routine errand or outing, just take a look around your vehicle and see if you’re toting any of these things without giving a thought to their potential to cause injury in the event of a crash: cellphones, purses, briefcases, computers, tablets, GPS devices, pets, tool boxes, suitcases, sports equipment, books, storage bins, backpacks, umbrellas, toys, strollers, groceries, CDs or DVDs, video games, trash, musical instruments, weapons . . . the list goes on and on. And one of the most dangerous types of UFOs is people who are not wearing a seat belt. A study published in the Journal of the American Medical Association concluded that if you are in a car crash, your chance of dying increases by as much as 25 percent when another person in the same car is not strapped in. In an ongoing study, State Farm Mutual Automobile Insurance Company and The Children’s Hospital of Philadelphia determined that of 12,513 children injured by something inside the vehicle, over 3,000 collided with loose objects, other passengers or both. In October of 2010, a mother and her two-year-old had driven only a block from their home when another car, going straight in a left-turn lane, hit them at 45 mph. She was able to get out and go to her screaming son, whose scalp had been peeled back by the soft-spout sippy cup he had with him. His skull was fractured in three places, requiring more than 200 internal and 200 external stitches. The main muscle in his forehead was severed and not able to be repaired, so he will never have movement of his forehead muscles. In July of 2000, the Miller family of California thought buckling up would keep them safe in their Dodge Durango. But an oncoming small pickup truck decided to pass traffic and hit them head on. Mom and Dad were injured from the impact. Their one-year-old son was protected by his car seat but suffered a skull fracture when their cell phone flew through the air and hit him, landing the child in intensive care for ten days. In July 1996, a mother in Sulphur Springs, Texas, loaded her 1994 Dodge minivan with her two young children in the second seat. On the floor in the back were nearly 300 pounds of boxed books. When the mother lost control of the vehicle, the minivan went nose-first into a dry creek bed. The crash propelled the books into the steel legs of the second-row seat with thousands of pounds of force, obliterating the seat legs. One child was flung headfirst into the rear of the front seat, killing her. We spend a lot of time in our vehicles. American drivers log an average of 13,476 miles per year, or 37 miles a day, so our vehicles have become family rooms on wheels. And the design of the vehicles we own probably contributes to the problem of injury by UFO. Increasingly we’re buying SUVs, minivans and station wagons—all lacking standard cargo trunks – where everything goes into one open compartment. A July 16, 2014, article in Automotive News reports that for the first time SUV and crossover sales have exceeded those of sedans. SUVs and crossovers combined accounted for 36.5 percent of the U.S. light-vehicle market so far this year, compared with the sedan segment’s 35.4 percent share. 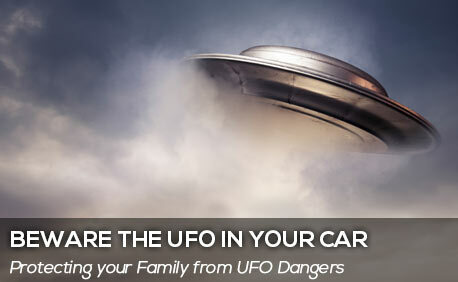 This means it’s increasingly important for consumers to be aware of and address the problem of UFOs in their vehicles. There are a number of possible solutions for the problem of safely carrying things in the car. Utilize all secured storage spaces, such as your glove box or front armrest and center console compartments, and use seat-back and door pockets. Get a cargo barrier that’s been crash tested and will bolt into the frame of your auto. Use safety features such as grocery-bag hooks, compartments and tie-down anchors. Place larger, heavier items against the back seats to prevent them from building momentum if they are thrust forward in a crash. Most importantly, make sure every person (and pet) in the car is securely strapped in. From our office in Columbia, we’ve been helping injured South Carolinians since 1959, way before the advent of cellphones and SUVs. We’re family-owned and family-focused, here to help your family in the event of a car crash injury or fatality. Call us at (803) 454-1200.